Gerard van Honthorst's 1623 painting The Concert. It was in the collection of a family in France, and was last seen in public in 1795. 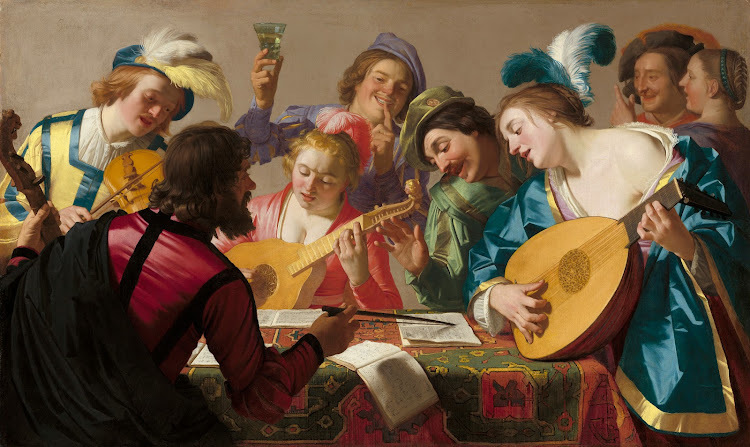 It was purchased by the National Gallery of Art in Washington, D.C., in the United States in 2013 for an undisclosed sum. It went on display on November 23, 2013, for the first time in 218 years. he Fall of Phaeton is a painting by the Flemish master Peter Paul Rubens, featuring the ancient Greek myth of Phaeton (Phaethon), a recurring theme in visual arts. 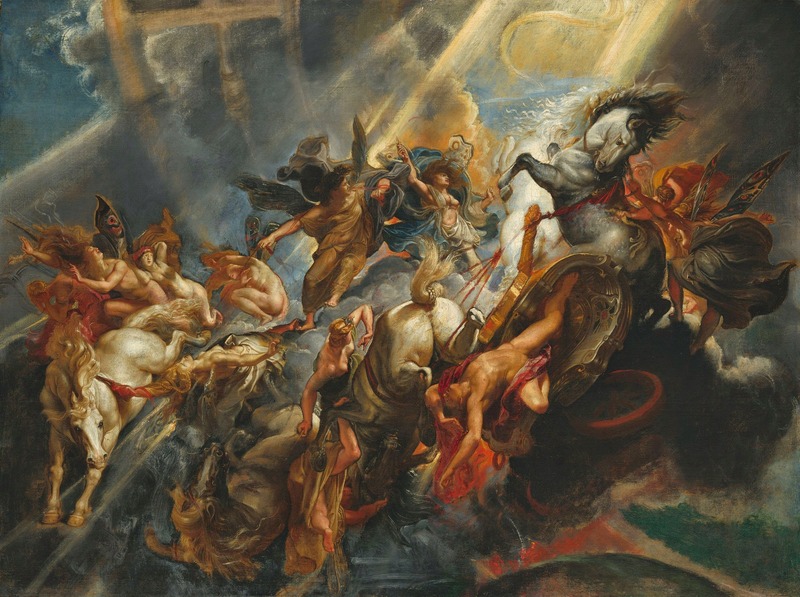 Rubens chose to depict the myth at the height of its action, with the thunderbolts hurled by Zeus to the right. 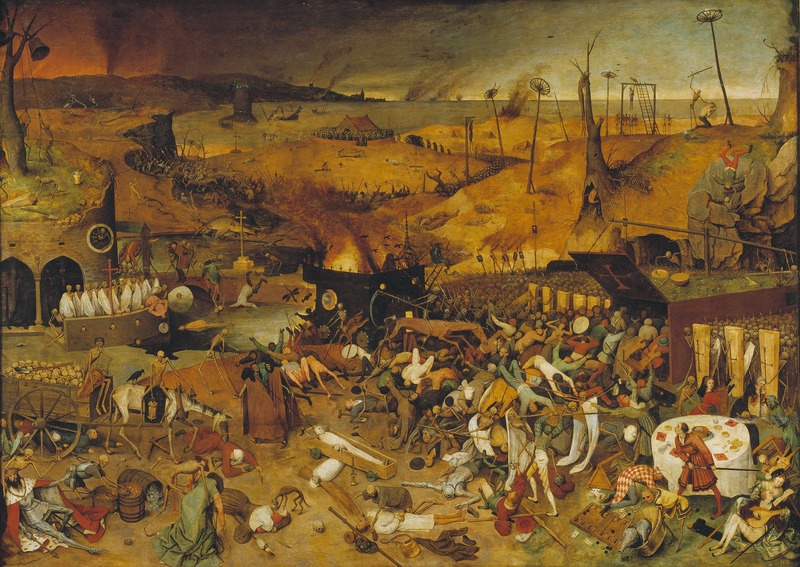 The Triumph of Death is an oil panel painting by Pieter Bruegel the Elder painted c. 1562. The painting shows a panorama of an army of skeletons wreaking havoc across a blackened, desolate landscape. Fires burn in the distance, and the sea is littered with shipwrecks. 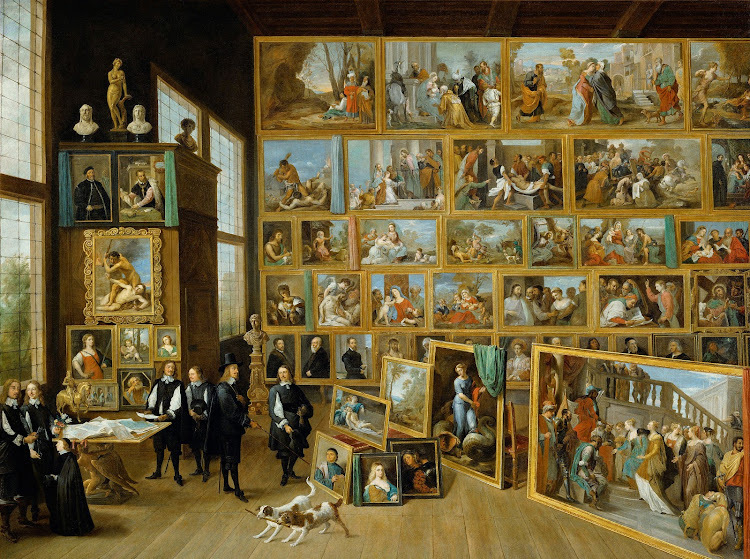 David Teniers the Younger (15 December 1610 – 25 April 1690) was a Flemish artist born in Antwerp.